The first all women's surf contest in South Carolina, the "Folly Beach Wahine Surf Classic" was founded in 2001 by Katie Coryell and Kelly Kane Wood. 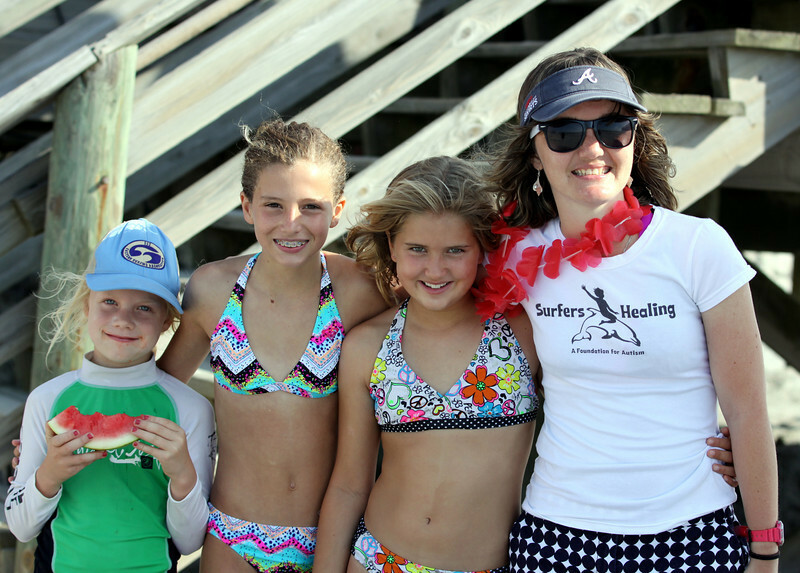 They recognized the growing population of female surfers in the area, brought them together for a weekend of fun and waves, and a tradition was born. Through the dedication of a few dedicated directors, the now titled "Folly Beach Wahine Classic" continued to grow. In 2006 we were thrilled to welcome world famous surf photographer Aaron Chang to our shores. 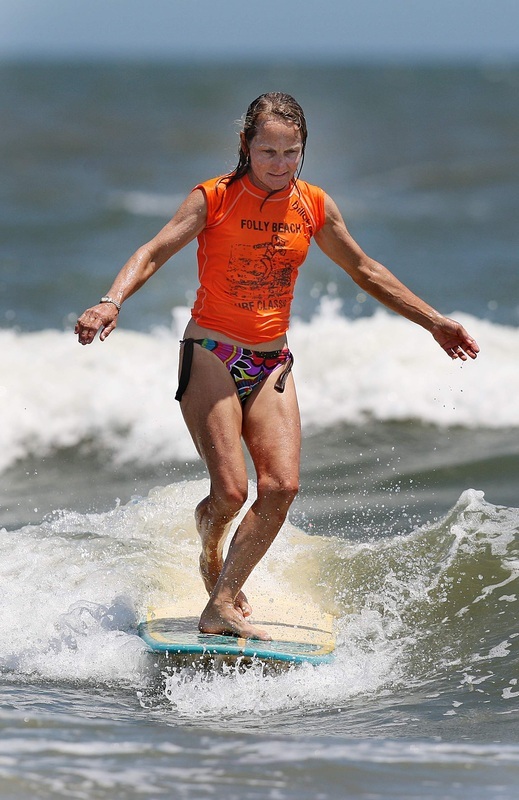 In 2008 women's surfing pioneer Mimi Munro competed in the event, showing her trademark style amongst the best female surfers from Charleston, South Carolina and the East Coast. 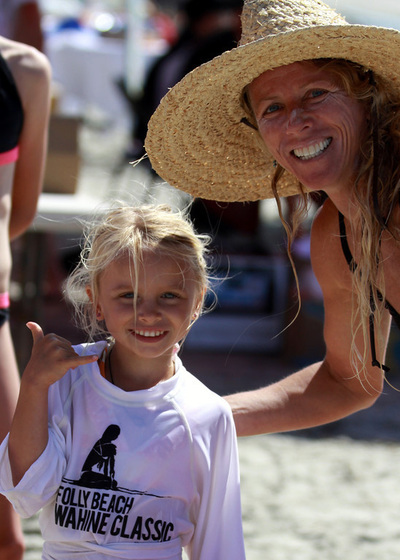 Over the years the contest has grown to include surfers from the tiniest Push and Surf and Menehune competitors to the more seasoned and highly competitive Women's and Ladies divisions. Board categories grew from simply short and long boards to include the Liquid Shredder Fun One, body board and stand up paddle divisions. In 2013, Pro divisions were added, with top prize money going to to best shortboard and ﻿longboard﻿ competitor of any age. We congratulate the most recent winners from these successful Pro divisions - Savannah Bradley (SC) Pro Shortboard winner 2016, and Kate Barattini (SC) Pro Longboard winner 2016. We look forward to giving more prize money at our next event! The contest would not be possible without the dedication and devotion of the directors who have led the charge to support our mission: Empowering surfer girls of all ages with a weekend of surf competition, camaraderie, and fun, while raising awareness and money for water-related non-profit organizations. Thank you to the outstanding directors throughout the years: Kelly Kane Wood, Katie Coryell, Nancy Hussey, Hale Horstman, Patti Noe, Laura Butler Peirano, and Liz Chirles. The 2019 Folly Beach Wahine Classic will be June 1-2, and promises to be bigger and better than ever! We are always looking for new partnerships and sponsors. Interested or want to know more? Contact us here, find us on Facebook for the latest on news and entry information. Thank you Vickie Trippe and all the outstanding photographers for capturing these shots. Want to see more Folly Beach Wahine Classic pictures? Check out these links! Victoria Trippe, Christopher Mathes Photography 2014 Day 1, Day 1 Part 2 and Day 2, Post and Courier, Surf n Turf, Matt Drobnik - 2012 and 2013 - Have an album or work you'd like to share? Just let us know!